Meeting the diverse needs of every child. The Frances Jacobson Early Childhood Center is committed to providing the highest quality education in both secular and Judaic studies in a safe, nurturing and non-pressured environment under the guidance of the highest caliber teachers. The Frances Jacobson Early Childhood Center at Temple Israel (FJECC) offers innovative and cutting edge educational opportunities for young students in a nurturing and safe environment. We enroll children ages 1 year 9 months to 5 years. The regular school day is Monday through Friday, 9:00am-1:00pm with opportunities for early arrival and extended day. The admissions process for the 2018-2019 school year is ongoing. Applications for the 2019-2020 school year begin on May 1, 2018. If you are interested in learning more about the FJECC, please contact us to schedule a tour, or join us at an Open House. Click here for FJECC Quick Facts. ANNOUNCING THE NEW RITA AND ADAM J. WEINER AND FAMILY OUTDOOR CLASSROOM! 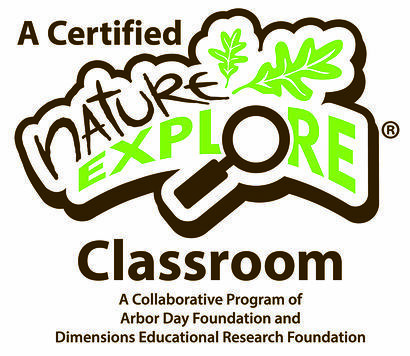 Click here to read more about our Nature Explore Certified Outdoor Classroom and visit our Facebook page to view photos from the recent dedication.